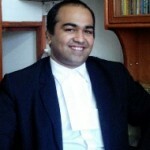 It’s a great relief for Doctors by National Commission in its recent judgment dated 20/09/2016, in the case of DR. SHRIKANT V. MUKEWAR V/s. VIMAL & 2 ORS. 1. The original Complainant ( patient) was the known case of COPD i.e. chronic obstruction pulmonary disease, i.e. difficulty in breathing and there was obstruction to the air flow. 2.It was alleged that the treating doctor was just sitting in his chamber and did not pay any attention to Patient. As the condition of the patient deteriorated, he was advised to shift to another hospital for want of life supporting system. 3. Thereafter the patient was shifted to another hospital and in all these events, patient had to incur huge expenses and hence case for damages of Rs.2 lakhs was filed. 4. The District Commission dismissed the Complaint, but the State Commission at Nagpur allowed the complaint to the tune of Rs.1 lakh + Rs.10,000/- towards mental pain and agony. Hence the Dr. preferred appeal to National Commission. 2. 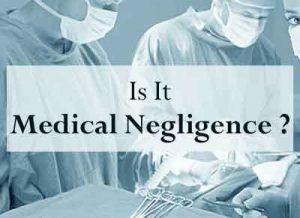 Dr Vijay M. Gedam, Civil Surgeon at Nagpur, however, who was an expert gave an opinion that the Treatment given by Appellant to the patient was not proper. 3.The treatment given was with proper antibiotics and medicines. The patient was under close monitoring by the different doctors in the OP 1/hospital. Therefore, expert opinion of Civil Surgeon has no significance. There may be real culprits in medical profession. But patients should not see a doctor like a demon. Faith should be there ( for both doctor and patient) which is the first and most important factor for healing. Some times even a best doctors treats with most efforts the human body of different patients responds differently for the same disease and same treatment. Patients should understand this point. Most of our community needs this education .